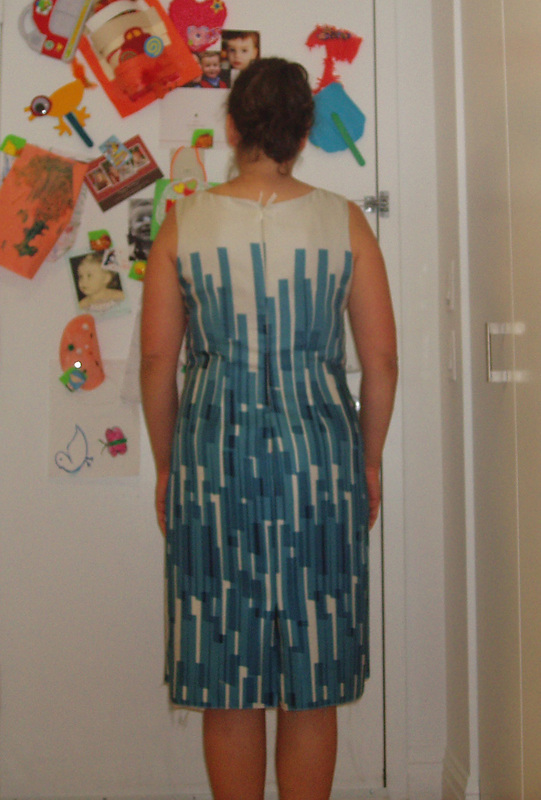 This entry was posted in Beginner, Butterick, Dresses, Fitting, Sew Alongs, Sewing, Tutorials. Bookmark the permalink. HAPPY BIRTHDAY! I love the Christian LaCroix skirt – go E! I just got my pattern and am reading the back of the envelope now (at work). The dress is supposed to be “slim fitting” so based on this, I am going to say the dress looks good on you. Try to sit and walk around in it before you release/take in anything. See how it feels. The only place I would take in a bit is between the waist/hip to show your figure (but that’s what I would do on me). Yikes I have to draft my own pattern this weekend – too many alterations to this pattern :0) so I may as well start from scratch. You are on dress #2 and I have yet to start. Great going with the dress and I love the material. I might need to call Thea to come help me with the “grain issue”. It is very important to cut on grain. Otherwise you might get a wadder and I try my best to avoid those if possible. Hope you are doing something fun to celebrate your birthday!!! Happy birthday! The dress looks wonderful on you. I love your fabric choice. Happy Birthday! I think the dress fits well as is! Happy Birthday! 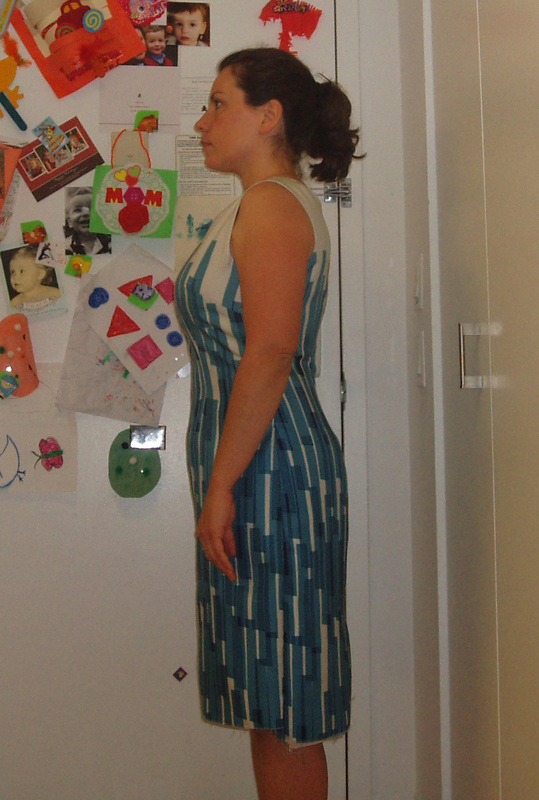 If you can move comfortably in the dress (sit, stand, tennis, etc.) then it’s fine. It looks good as-is. Happy Birthday! Nice lesson in finding the grain – thanks, Thea! Love the fabric of the dress, & think it looks swell as it is, but heck, I know nothing of alterations. Really, I don’t know much, but I see diagonal wrinkles going from waist to bust on the side. I think that means you need a little more room in the hips/waist area (someone more experienced please chime in). But very pretty dress! I think it looks fine from a fit standpoint but if you feel uncomfortable, take it out 1/4 – 1/2″ on each side. You will always be unhappy with it if you think the fit is slightly off! I see the diagonal wrinkles from the bust to waist and from the lower hip to waist as well. I think you need a little bit more ease on the side seams in that area. Have you tried sitting, kneeling, walking, etc. in that dress? Is it comfortable? If so then it’s probably good. Let us know how the dress goes! Happy birthday!!! Hope you’re doing something fabulous on “your” day! I’m with Janice. 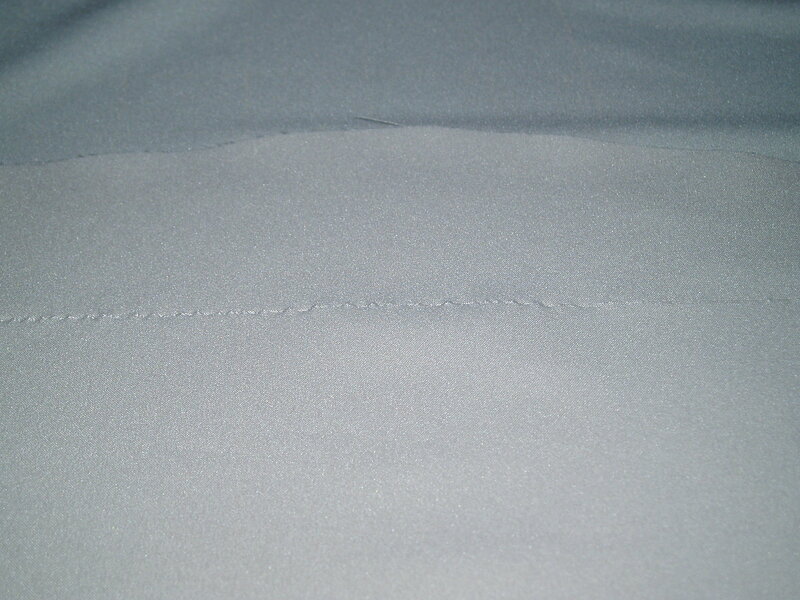 I think a little more ease is required on the side seams, otherwise you’re doing to have vertical creases when you sit. LOVE the fabric choice, tho. It’s very chic! I think the dress fits you well! Happy birthday, and hope you ahve a wonderful day! The dress is looking fantastic! It looks good to me (maybe a tad more room in the front at the bust? ), but I am no expert on fit. I am so lazy with grain. Ha! Beautiful fabric, chic style it’s going to be a winner! 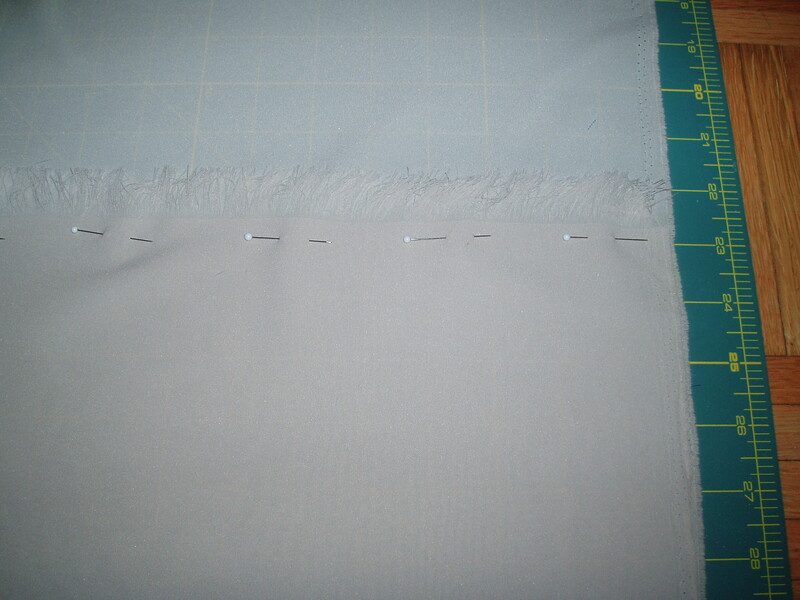 Happy Birthday – may your next year be filled with many more sewing successes. Happy Birthday! I adore the dress on you! Happy birthday!!!! Beautiful dress, you did a great job and that fabric is just gorgeous…. 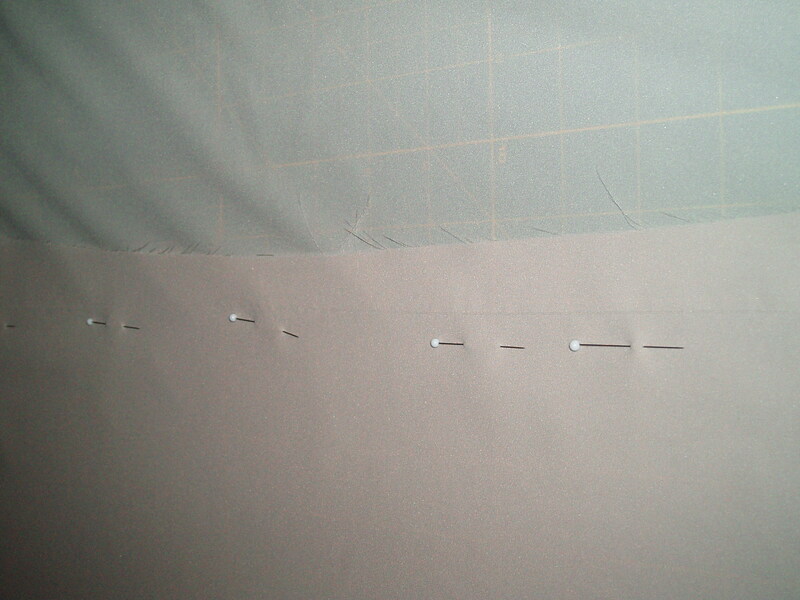 Finally got my tracing paper in the mail, so I plan to start on my dress this weekend…. Happy, happy birthday! Hope you are having a great one! And Thanks for the non-tutorial! Happy birthday! Your dress looks good, but check you can sit down in it comfortably without any risk that the seams will tear out in the future. I have been known to overfit and forget about being able to sit in this kind of non stretch dress! Happy birthday – and sorry that my job is so insane I couldn’t talk to a birthday girl when she called today. The dress is looking great, you’re very lucky you cut into that fabric before I could come up and steal it. I’m with those who think maybe you should let the sides out a little, I think that will take care of those lines and it won’t affect the look at all. 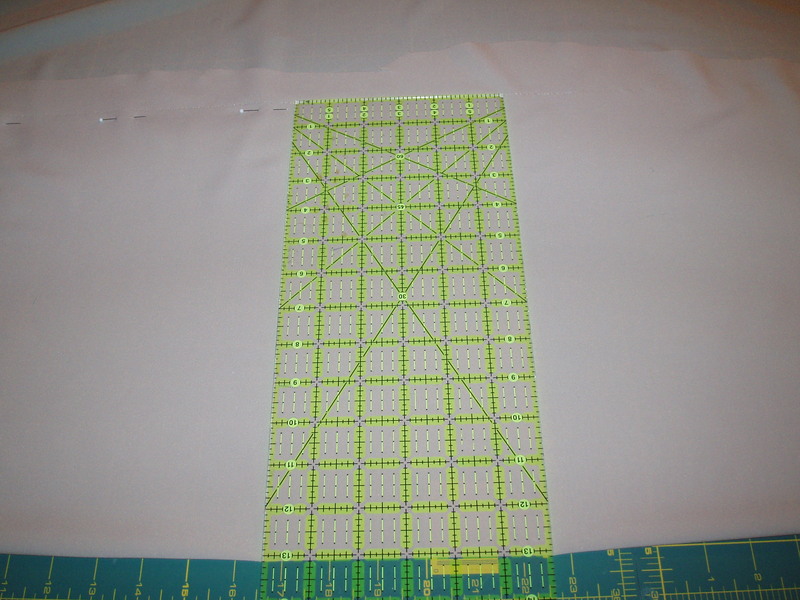 Beautiful fabric – this is going to be stunning! Gosh that’s gorgeous fabric. A perfect pattern choice to highlight it. This was a splendid choice for this dress. It is going to be outstanding when finished. See how this one dress can be made into so many different varieties just by changing up the fabric! You are going to be soooo work ready when you’ve made up a wardrobe of these! This is just soooooo lovely! Wow I love this fabric!!! !